The Foreign Account Tax Compliance Act (“FATCA”) is a United States (“US”) federal law with global reach aimed at curbing offshore tax evasion by US persons. The Foreign Account Tax Compliance Act (“FATCA”) is a United States (“US”) federal law with global reach aimed at curbing offshore tax evasion by US persons. FATCA draws its roots from Chapter 4 of the US Internal Revenue Code, enacted by the Hiring Incentives to Restore Employment Act 2010. The legislation aims to obtain information in connection with offshore accounts and investments directly or beneficially owned by US persons either by voluntary disclosure of accounts by such persons or by disclosure to the Internal Revenue Service (“IRS”) by the foreign financial institutions (“FFIs”) holding such accounts/investments. Failure of the FFIs to disclose or comply with the reporting requirements laid down under FATCA may lead to the IRS imposing a 30 percent withholding charge on the FFIs’ source investment income and proceeds from sale generated within the US. The criteria to apply such withholding tax is wide and may be charged by the IRS against any financial instrument/assets including bank accounts, trading in money market institutions, bills, certificates of deposit, derivatives, transferable securities, commodity futures trading, individual and collective portfolio management and other financial assets, interest, dividends and rents having their source in the US. Whilst to some this might look as an attempt by the US to collect tax from foreign entities through the proposed withholding regime, FATCA’s primary focus is to detect, deter, and discourage offshore tax abuses through increased transparency, enhanced reporting, and strong sanctions. To date, more than 80 nations, including China and Russia, have taken steps to enable their financial institutions to comply with FATCA. The obligations imposed by the FATCA regime do not take into account domestic laws (for example, data protection rules and confidentiality issues) which prohibit the sharing of the information sought by the IRS. As a result, even if an FFI is willing to share information, it may be in violation of local laws and be exposed to regulatory sanctions and potential lawsuits in the jurisdiction they operate. In light of the global reach of the FATCA regime and to manage the potential conflict with domestic laws, the US Treasury proposed the creation of an intergovernmental framework to enable compliance and reporting via intergovernmental agreements (“IGAs”). The IGAs have been modeled in two forms: Model 1 and Model 2. The two forms are primarily distinguished from each other on the basis of the reciprocity and reporting requirements. Model 1A requires a reciprocal relationship between the US and the partner jurisdiction under which FFIs in that partner jurisdiction would be required to report to their respective regulators which would in turn report to the IRS and vice versa. Model 1B does not require a reciprocal relationship between the US and the partner jurisdiction. Model 2 on the other hand requires FFIs intending to comply with FATCA requirements to directly report to the IRS in accordance with the requirements of FATCA. With a commitment to strengthening financial stability and supporting banks and financial institutions by reducing the burden of compliance with FATCA for individual FFIs, many partner jurisdictions have commenced or completed IGA negotiation with the US. 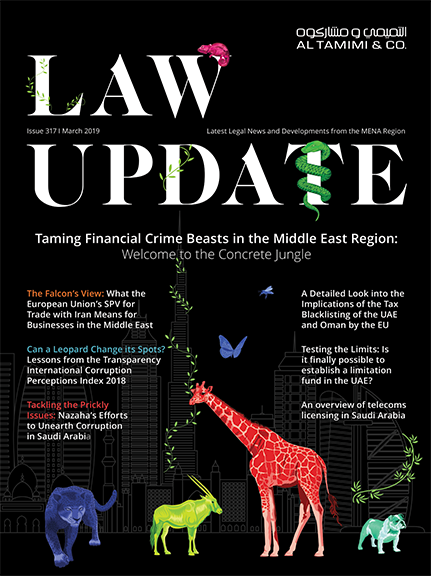 The United Arab Emirates (“UAE”) and the US reached an agreement in substance in May 2014 to include the UAE on the list of jurisdictions to be treated as having an IGA in effect. The UAE has agreed to adopt Model 1B. The result of this decision is that FFIs within the UAE have to comply with the requirements of the IGA with effect from 1 July 2014. At present, the final form of the IGA has yet to be concluded but it is understood this should happen before the end of 2014. Determine whether it is an entity within the scope of FATCA. If an FFI is within the scope of FATCA, the FFI will have to register as an FFI under the applicable category on the FATCA registration system hosted on the website of the IRS by 31 December 2014. Identify the products and services it offers which fall within the purview of FATCA. Obtain such information regarding each of its account holders (individuals/entities) and counterparties as is necessary to determine which accounts have affiliation to the US. As a first step, FFIs must identify and document account holders (new and existing) with US indicia. US indicia for individuals includes such factors as US citizenship (passport or green card holder) or US residency, US place of birth and, for entities, factors such as incorporation in the US, establishment in the US for tax purposes and a US tax identification number. Obtain relevant self certification of status for account holders as to its US tax status (or documentary evidence, if permitted) and waivers, if required. other information regarding income and transactions. c. Withholding Requirements: FFIs in the UAE will benefit from the UAE IGA between the UAE and the US since FATCA’s withholding requirements will not apply to such FFIs provided they are in compliance with the UAE IGA. As a penalty for non-compliance of the requirements under the FATCA, FFIs would be required to withhold 30 percent from US source payments made to non-participating/non-complying financial institutions or non-complying account holders. Other compliant partner jurisdictions’ FFIs, which act as intermediaries with respect to withholdable payments, are required to provide information to the paying entity about applicable payments for withholding and reporting purposes. With the large number of US tax obligors living in or otherwise having financial accounts in the UAE, FATCA compliance is important to both UAE financial institutions and to US individuals and entities holding accounts with such institutions. All customers of FFIs within the UAE should be aware that they are likely to be asked if they have any US indicia and to make declarations in respect of the existence of such indicia. US persons should expect greater due diligence requirements from FFIs when opening accounts and a more rigorous on-boarding process. FFIs have the largest burden of having to first determine if FATCA applies to them and then ensure their systems are capable of collecting the necessary information. Additionally, FFIs must be aware of their counterparties’ FATCA compliance and ensure their terms and conditions do not inhibit compliance with FATCA. This includes having in place mechanisms for monitoring account balances and changes in status of accounts and account holders to stay in line with FATCA. Finally, FFIs within the UAE must be mindful of the relevant time frames in order to avoid being in contravention of FATCA requirements and exposing itself to any form of withholding charge.